Badsworth and Bramham Moor Hunt trespass: Huntsman Richard Mould and hunt master Nigel Dickson on the canal towpath at Sykehouse. A fox hunt’s actions has been branded as extremely irresponsible for endangering public safety after repeatedly ignoring warning signs and galloping down narrow canal towpaths with a pack of foxhounds. The Badsworth and Bramham Moor Hunt have been reported to the Canal & River Trust for riding along towpaths on the New Junction Canal at Sykehouse and Fishlake, nr Doncaster, on several occasions during the past six months. The Canal & River Trust, who manage the canal, prohibit horses using towpaths due to the serious risk to the public as well as the horses. 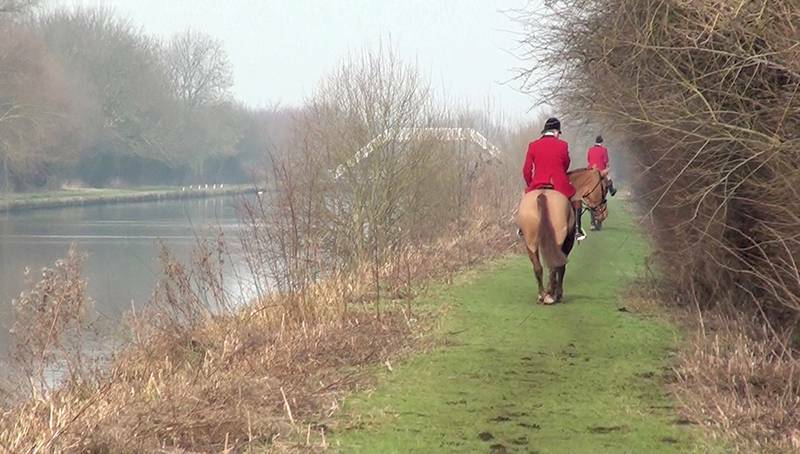 During the latest incident, a local resident, who did not wish to be named, claimed that the hunt along with 30 foxhounds spent up to an hour on the towpaths at Sykehouse and Fishlake, despite warning signs clearly prohibiting horses on the towpath. Mobile phone footage seen by the Wildlife Guardian shows huntsman Richard Mould and joint master Nigel Dickson galloping down the towpath as the hounds are in cry. The hunt then head to the opposite towpath, where the hounds are encouraged to hunt through wildlife habitat owned by the Canal & River Trust. The hunt’s terriermen and terriers were later seen joining the hunt on the towpath. The trespass occurred in full view of a Canal & River Trust manned station, and despite previous incidents being reported to the Trust, no action was taken to stop the hunt. 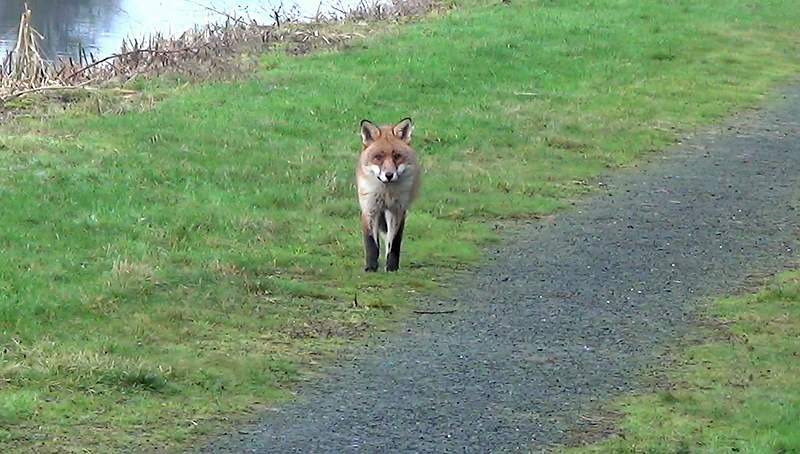 A spokesman for the Wildlife Guardian stated, “The Badsworth and Bramham Moor Hunt behaviour is utterly reckless and they are endangering the safety of legitimate users of the towpaths, such as dog walkers and cyclists. They also demonstrated a blatant disregard for the safety of the horses. In 2014, a photo of the Badsworth and Bramham Moor Hunt trespassing on the same towpath, led by then huntsman Nigel Dickson, was published on the Countryside Alliance Facebook page. Last year the hunt made the national news when hunt saboteurs were driven at by terriermen in balaclavas on a quad bike.